My kids found him on Monday, took him home and plopped him in a basket. Tuesday morning...you guessed it... the basket is empty and Mr. Hedgehog is nowhere to be found. We spent quite a bit of time searching for him, but to no avail. "Moooooooom!!!!!!" I wake up from a very deep sleep (partly induced by Benadryl, since I've been a bit sick) and go to William. "Mama...I just saw an animal run out of my room...I think it's the Hedgehog." In addition to reassuring him that he can go back to sleep, I began an inner conversation with myself. Do I go try to find it? If I don't find it now, I probably won't find it until it begins to stink. Grrr....I'm loosing sleep over a HEDGEHOG!!! "WIFE-Y!!! I found the hedgehog! I was innocently trying to use the bathroom and it began to nibble at my feet. I reached down to brush away whatever it was that I felt and quickly realized it was the hedgehog!" AH!! Hedgehog safely returned to a closed container. 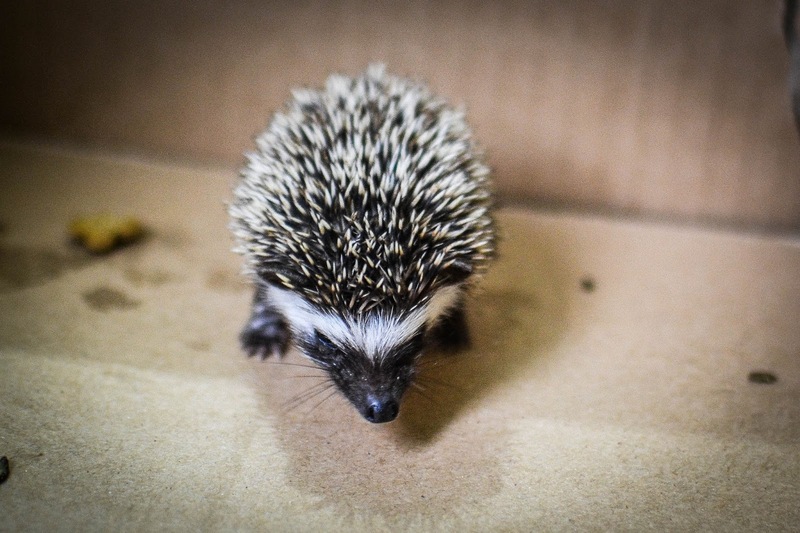 Oh...and my kids have learned that the Lugisu name for Hedgehog is napupu. (pronounced: Nah-poo-poo). There has been no end to the snickers around here.